​Arsenal legend Paul Merson has claimed that Mauricio Pochettino wants to be the permanent Manchester United manager – and that Harry Kane and Dele Alli could even follow him out of Tottenham in the summer. Pochettino is widely regarded as United’s number one choice to replace the recently sacked Jose Mourinho at Old Trafford next summer, after Ole Gunnar Solskjaer was appointed as an interim until the end of the season. 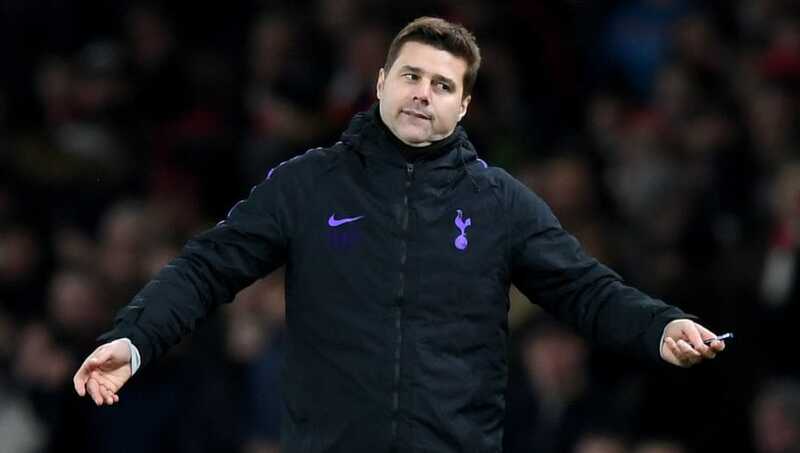 Many reports suggest ​United are likely to pounce for Pochettino next summer, and Merson wrote in the ​Daily Star that the Argentine boss could be tempted to move north in search of trophies and prestige. He wrote: “It could take years for Mauricio Pochettino to turn things around there [at Tottenham, if he gets the job in the summer, because Manchester United are well behind their rivals. “I think they are waiting for Pochettino and I think he wants the job. I don’t think ​Tottenham will be able to stop him leaving. “If United can pay almost £50m for Fred, they can pay that for Pochettino – and that could leave Spurs in disarray. “I don’t see ​Harry Kane, ​Dele Alli and Christian Eriksen staying at the club if Pochettino isn’t there. “He’s taken Spurs past United on the pitch but they will never go past them worldwide in terms of how many fans they have. Whilst the appointment would seemingly be the ideal succession plan for United, it would leave Spurs with much to do in replacing the man who has led something of a revolution in north London since arriving from Southampton in 2014. Pochettino has been integral to Tottenham’s recent developments on and off the pitch, and Merson added: “It could go horribly wrong for Spurs. People will say this is just me talking as an ex-​Arsenal player but it really isn’t. “Great team. Great manager. No-one wants to see them fall apart. I don’t. Ole Gunnar Solskjaer takes charge of United in his first match as interim manager when the Red Devils travel to face Cardiff City, a club Solskjaer has previously managed, on Saturday. Meanwhile, Pochettino will look to lead his side to another Premier League victory as Spurs travel to Merseyside to face a strong Everton team at Goodison Park on Sunday.